The download contains official album artwork for the original 12 studio albums by The Beatles. (Please Please Me, With The Beatles, A Hard Day’s Night, Beatles For Sale, Help!, Rubber Soul, Revolver, Sgt. Pepper’s Lonely Hearts Club Band, The White Album, Yellow Submarine, Abbey Road, and Let It Be) The image above is a preview of what will be included. There’s a link to download a ZIP file below. All the files are JPG images in an amazing 1636×1482 resolution. Grab them and enjoy! Note: Download only contains JPG images, we never distribute spyware/malware/adware. Yes I Do :) I’ll put those up in 12 hours or so, I don’t have access to them at the moment! I’ve added them to the original zip file, so just re-download it. Both Magical Mystery Tour and Past Masters are included! Cheers Sahas!! – nice one. Been looking for the new remastered artwork! YES, I DO! Just updated the ZIP file, just download it again and it should have the Album Art for “The Beatles in Mono”! Enjoy. It won’t extract because it’s already extracted. A .tiff file is an image format just like a .jpg, .png, or .gif. Just open it with your image viewer. These look great with all my Beatles Music in iTunes!. I am so glad I found you, and your site! Thank you so much I’ve been searching forever! They used to have the original album artwork on their website but they changed it recently. Thanks again! yup, that’s exactly why I uploaded it. Plus the images on the old website were also compressed and lower quality. These images are enormous! I personally don’t like the little strip on the side of each cover, but I didn’t bother cropping those out. But that shouldn’t be too difficult to do if you want a perfectly square image! Yo mate, thanks very much for this. I’ve been ‘standing in an English garden waiting for the sun’. This is surely one of the English rain! By the way, would you please also kindly upload the back cover? I mean the ones with the tracklist on it.. Would be really really great if you do. Unfortunately, I do not have those. These were all that was provided by the Apple Corps Press Kit. Sorry! Ok. Still, I thank you mate. Thanks so much! I’ve been looking for the rematers artwork forever? How exactly did you get ahold of this? Is everything they sent you in the kit availible for download? I’ve been looking for the “mono masters” cover- the past masters album in the mono boxed set but I guess the beatles in mono cover will do for now, unless you have that too. Sorry, I’ve uploaded pretty much everything. The only things I’ve got left include images of the remastered packaging, the band’s official logo, and single shots of each member. And those are all available by searching the web anyways. Would it be possible to upload those in a separate packages? I’ve yet to find hi-res versions of those images. I’d really appreciate it if you did. Which images do you want? Would it be possible to upload another zip bundle with the rest of the images you have? I’d really like the high-res images of the packaging and the individual beatles members. I would upload them to our server, but the file is 175MB! yikes! The servers would probably crap out and sys admin would be pulling his hair out. I’ve uploaded it to MediaFire. Don’t know how long that will stay up. If you have a better hosting solution, feel free to let me know! Definitely understandable. Thank you so much for these. I really appreciate it. Please, please upload… the quality is awesome on the others. 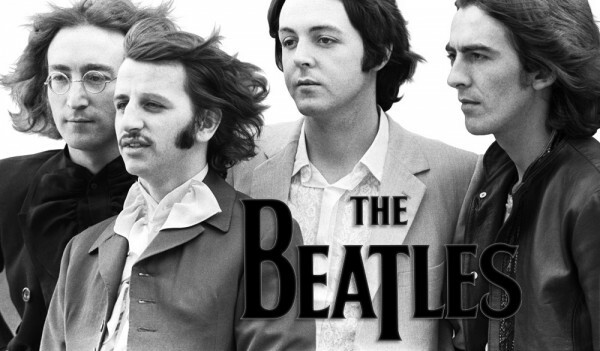 1.- why is the “The Beatles” text in the white album diagonal and not straight? 2.- Is the cover for the Past Masters mono version different from the stereo version? 1) Actually that is how I got them, I guess they thought it was cool? 2) I don’t know because I do not have the other ones. I’m guessing “The Beatles” is not straight because it was not straight in original album cover (waay back when, in the sixties). In fact, if you were lucky enough to get the earliest releases, it didn’t even have the colored type: “The Beatles” was EMBOSSED on the cover. I love you man. Thanks so much for this! I downloaded the zip file onto my desktop, but I don’t know how to get iTunes to access the covers. I tried copying the jpgs into My Documents\My Music\iTunes\Album Artwork but it still won’t access it. Help!! I get this when I try to open or extract it from the zip file you uploaded. Josh, this is the third comment you’ve posted. The Moderator already removed one duplicates. I’ve replied to your comment with the solution already. Please either subscribe for notifications or look around before posting the same question over. Thanks! Thank you so much for your downloads. I appreciate your generosity! You may have answered Josh, but the file is still broken. “drew new beatles logo.tif” will not extract from the zipfile you graciously provided. We can’t view it until we extract it from the zipfile. Thanks VERY much for sharing these images with us!! That’s exactly how ZIP files are meant to work, you extract them! Let me know if there’s something else wrong! That’s the problem Sahas, we haven’t extracted it from the zipfile, and so we can’t tell if it works or not. The file (drew new beatles logo.tif) gives a CRC checksum error when you try to extract it from the zipfile. If you download your own file and try to extract this file, you’ll see what we mean. This usually means that something went wrong when the zipfile was made. An error like this with just one file usually doesn’t affect the rest of the files, which can (and do) extract normally. The only way to fix this type of error is to re-zip the files to a new zipfile, but we really only need that one file (drew new beatles logo.tif). So you are referring to the ZIP posted in the comments right? Not the original in the article. Right? I tested the original file and it works perfectly fine. I also just downloaded and tried the other one. It’s not even downloading for me at the moment. I don’t know if that file hosting service is reliable. As I had mentioned before, I would host it here, but it’s just too large. Okay you were correct, something was wrong! Here’s another link to download it! I really appreciate the new link. I’m very curious to see the “drew new logo”. Unfortunately, that link doesn’t seem to lead to a file download, just the Filedropper homepage. First of all, thanks very much for providing these great images. The link for [Dead Link Removed] goes to the fildropper home page instead of to the download. Any thoughts? Thanks for your help. Thanks for making an easy way to get all the album art for my beatles box set. You Rock!